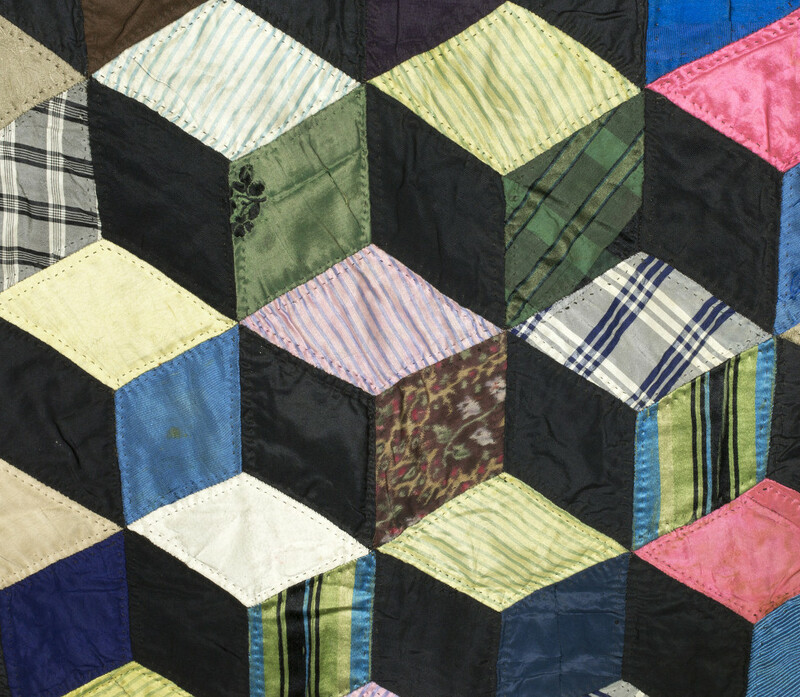 This collection spotlight puts two very different objects in conversation: an optically dazzling 19th-century quilt with the tumbling blocks pattern and artist Michelle Grabner’s 2016 untitled bronze sculpture of a crocheted blanket. Voices, stories, and photographs may fade or disappear with time, yet through these works, tangible and deeply personal objects persist as a mode of communication and connection across generations. Just as quilts transform old clothing into works of art, Grabner’s sculpture gives new life and meaning to a worn out blanket. 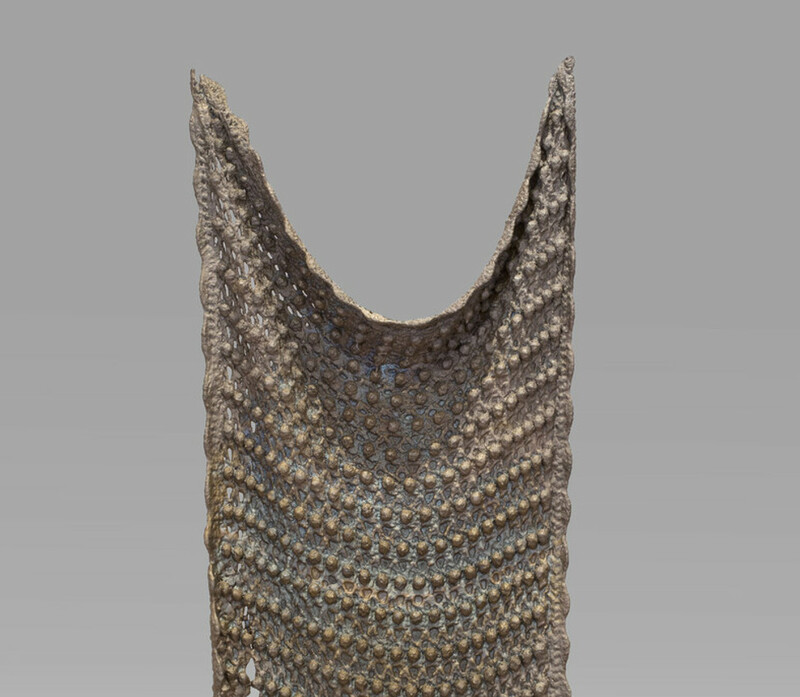 A related object is featured in the current Joseph Allen Skinner Museum Spotlight. A ca. 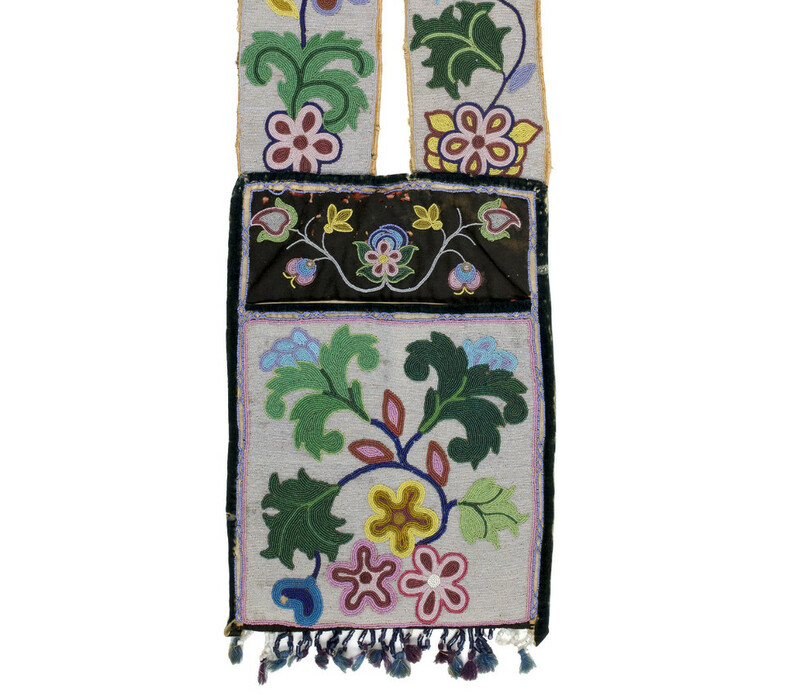 1900 Anishinaabe (Ojibwe) shoulder bag, typically worn by men but made by women, speaks to cultural contact between Native America and Franco-Europeans and adds to broader Museum conversations about the artisans and contexts of textile arts.